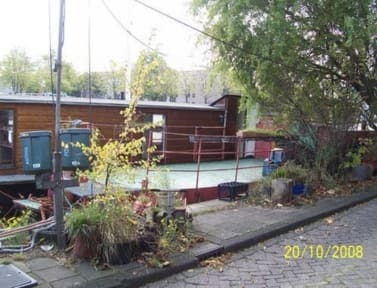 About 1,5 km from the Central Station at a a quiet green street in the centre of the city we have a house boat with 2 rooms each with a double bed and linen. Each room has a TV and a radio/cd player. Shared shower and toilet. 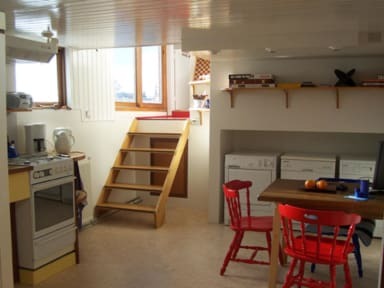 The two rooms share a kitchen with a gas cooker, microwave, refrigerator, washing-machine and dryer. There is also a shared computer with internet access available. It feels like a small apartment in Amsterdam. We offer free breakfast and free coffee and tea all day. The property is near the Central Station about a 15 minutes walk. Also easy to reach by tram. Bikers and walkers are especially welcomed.